Disclosure: This is a compensated post in collaboration with Sabra Dipping Company as a Sabra Tastemaker. As usual all opinions are my own. Thank you for supporting the companies that support NJB! This dish is crazy good! I explained it to my Mama over the phone, and in her sweet Spanish accent she said it sounded weird. I exploded in laughter out loud. I know Mom, it does sound weird to someone who doesn’t love vegetables and brown rice as much as I do. She also never loved green bean casserole, until Brian made it with real green beans from scratch for her the first year we were together for Thanksgiving. We are going on eight years now, she asks for his green bean casserole every Thanksgiving now. Sometimes we need to try things that sound out of our comfort zone simply to find that we love them! The difference that I have seen in restaurants, home cooked meals, products, and how I grew up, if you use fresh ingredients to begin with, you’re doing great. That’s the message from Sabra every time, and I’ve seen it with my own eyes. Fresh chopped vegetables in yogurt dip, made by genuine people who love what they do. It’s really as simple as that. Start in the right place, good intentions, good ingredients, and you cannot go wrong. So when I came up with this Cauliflower Greek Yogurt Gratin I knew I wanted it to be filling and healthy, and super good of course. I also knew I had to start with the French Onion flavor and build from there. Cooked onions become sweet, and sweet onion flavor in a gratin go hand in hand. Leeks are onions, and I added them to compliment the flavor of the already cooked onion in the dip, it was perfect. Cauliflower was the next step for me, I love roasted cauliflower and brown rice together, add cheese and Greek Yogurt baked to perfection, it is so much more than you could imagine. Savory, sweet onion, earthy brown rice goodness. This can easily be served as an entree because of the brown rice and yogurt that is so healthy and filling. But if you’re like many people, including my husband, you may want to serve this with a nice pork chop, roasted chicken, or grilled salmon. Place oven in top third of oven, and preheat to 425 degrees. 1. Place butter in a 10 in cast iron pan, or oven safe pan, melt over medium low heat. Once melted, add leeks, cook for 15 minutes. I did this while the rice cooked. 2. 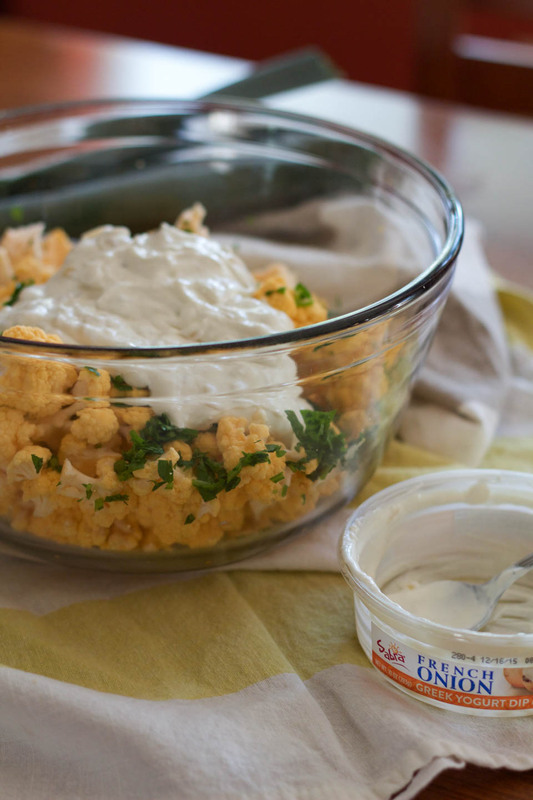 Place cauliflower, yogurt, cooked rice, and 1/2 of the parsley in a large bowl, toss to combine. Add rice, stir to combine. 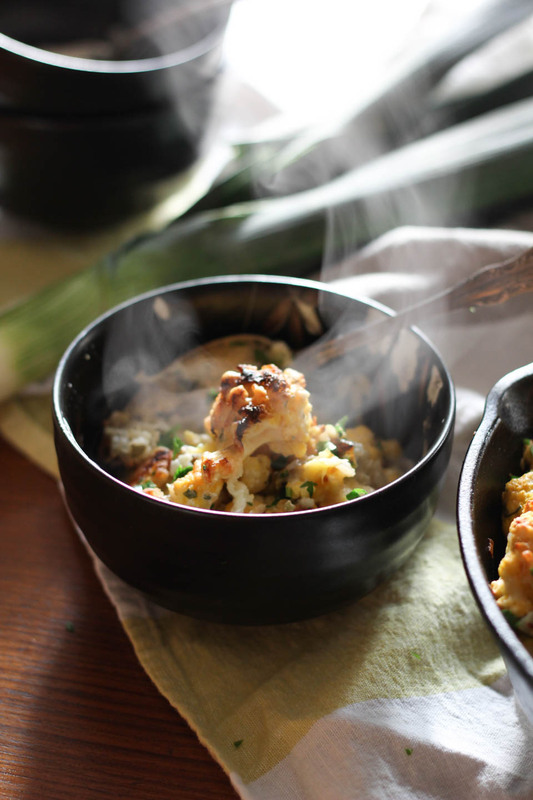 Once leeks are finished cooking, add them to large bowl with cauliflower, stir to combine. Add entire mixture back to pan. Spread out evenly, top with cheese. Place in oven and cook for 25 minutes. 3. Turn heat up to 500 degrees, and brown the cheesy top for 3-4 minutes, or until golden brown. Remove from oven, and sprinkle the other 1/2 of the fresh parsley on top to serve. 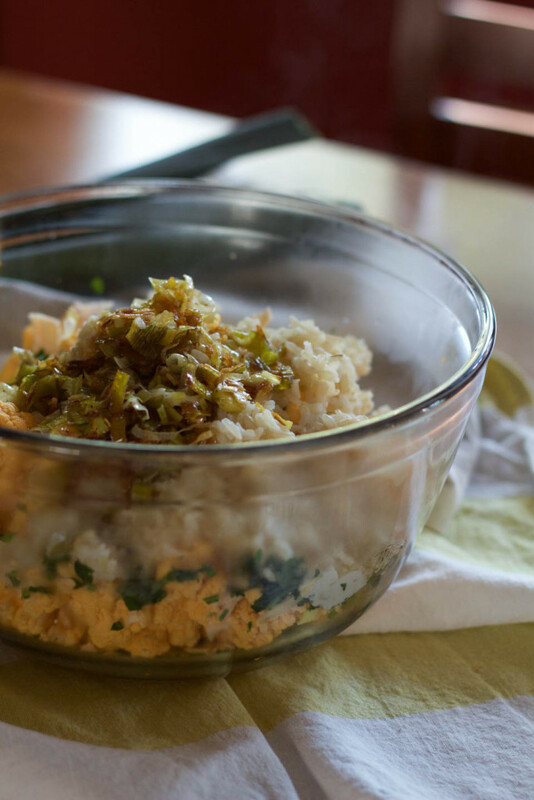 Serve immediately or store leftovers in an airtight container for up to 3 days. Find other tasty recipes using Sabra Greek Yogurt Dip here! Yayay! Thank you very much. This sounds fabulous. I’m a big fan of those dips!! 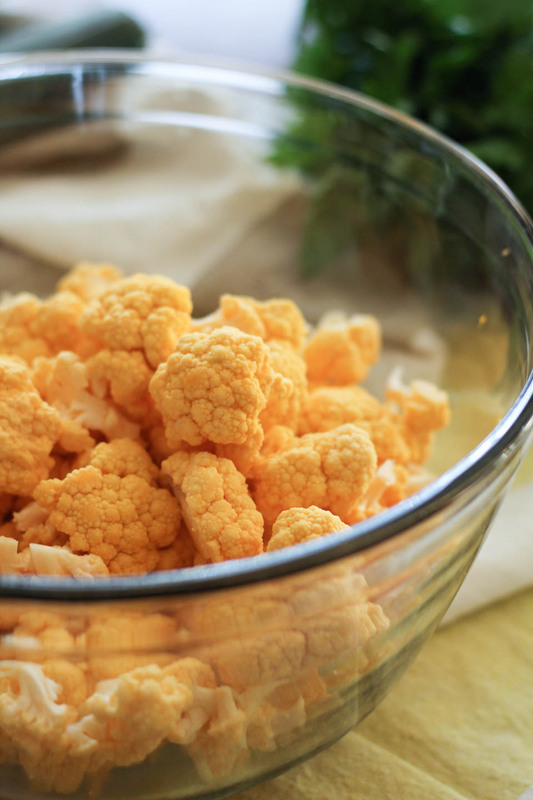 I could eat cauliflower every single day and never get tired of it. Love the stuff! This dish looks absolutely amazing. Pinned. This is like my dream dish. I will eat anything with cauliflower and gratins are like the ultimate comfort food. Fabi, this one is a total winner! Thank you dear! I could eat cauliflower everyday. Oh my gosh, this looks absolutely divine!! I am super in love with cauliflower right now and adding the Sabra greek yogurt dips to make this creamy gratin is just brilliant! Now this is a fabulous side dish for the holidays – love it! MAJOR DROOL. 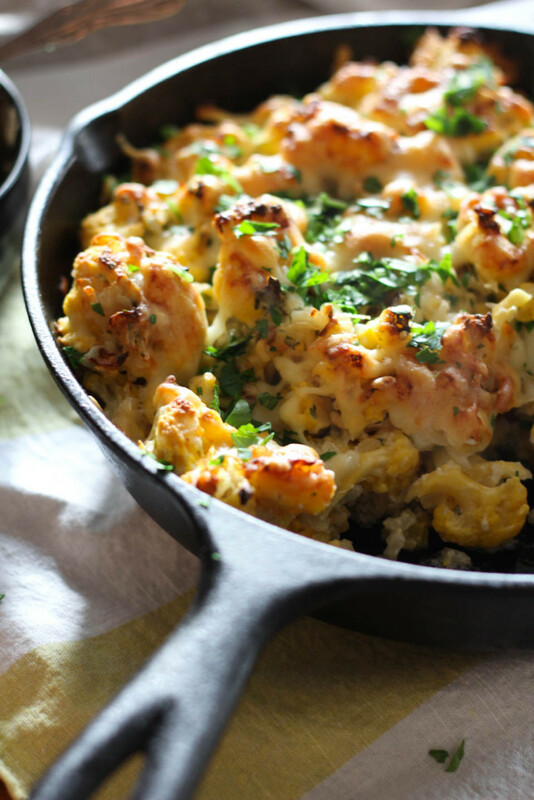 Cauliflower and cheese is such a craveable combination. And manchego is one of my faaaavorite cheeses. ME TOO! I’ll add it to so many dishes and soup especially! Thank you. I’m heading over to the site to print off my coupon. I love the gratin so I don’t even know if I’ll be creating my own dish or making yours. It looks delicious. This looks *wonderful*! So scrumptious! I love cauliflower! Always looking for new and interesting ways to prepare it! This looks yummy! Now this is what I want as a side on Thanksgiving! Pinning and bookmarking to add to our menu! That’s awesome, thank you so much! Oh my GAWD that looks good! 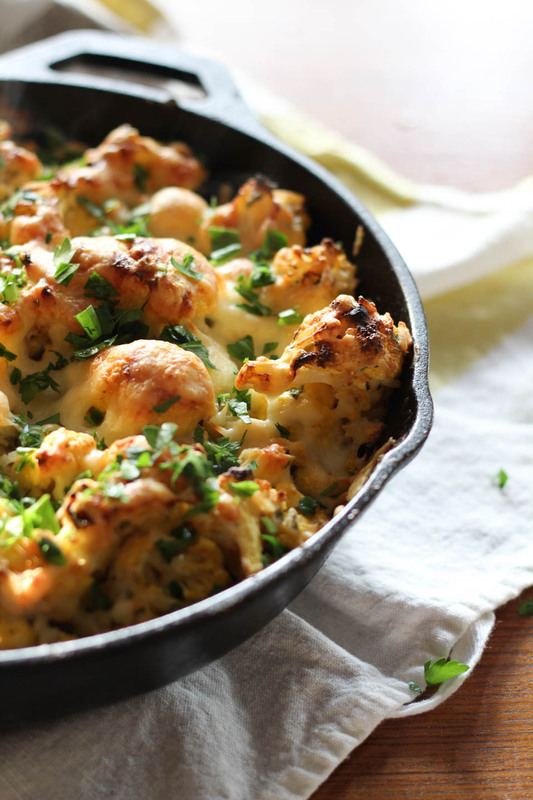 i love the use of cauliflower instead of potatoes, genius! Yummy! This looks so good!